The nation of Chile possesses a long, slender strip of territory along the southwestern coast of South America, bordering on Bolivia and Argentina to the east. Chile is known for its varied and beautiful topography, which includes its Atlantic beaches, low coastal mountains, Valle Central where wine grapes are cultivated, and part of the Andes range. It also includes the perennially fascinating Easter Island, and Chile’s vulcanism makes the area particularly attractive to students of earth science. The Benjamin A. Gilman International Scholarship Program receives funding from the State Department’s Bureau of Educational and Cultural Affairs (ECA), whose mission is to promote mutual understanding between Americans and people of other nations. Gilman students are carefully chosen to represent the U.S. abroad, with a view toward diversifying the group of scholars America sends to study elsewhere. You may check your eligibility for a Gilman here. In general, you must have an active Pell Grant to receive a Gilman and plan to stay in one country for at least a four-week period. Undergraduate awards are usually around $4,000 but may range up to $5,000, and if you study a language that appears on the Critical Need list you may also get a $3,000 supplement for those studies. The Fulbright program, also funded by ECA, has a page devoted to its educational funding for study in Chile. Fulbright offers several categories of scholarships for foreign study, and both its U.S. Student Program (for undergraduates) and Scholar Program (for faculty and professionals) underwrite studies in Chile. The monetary value of Fulbright awards is high, so there’s a great deal of competition. Selection is based on your research proposal (is it potentially valuable and can you realistically achieve your goal? ), your qualifications and academic record, the languages you speak, and so on. Chile’s Valdivian rain forests make it a suitable location for environmental studies, and you can use a Kleinhans Fellowship for Research in Tropical Non-Timber Forest Products, supplied through the Rainforest Alliance, to study there. The practical goal of Kleinhans research is to let residents of the rainforest derive income from forest products without damaging the forest itself, so appropriate projects will combine elements of both ecology and business. Pay strict attention to the requirements on the Kleinhans page, because there is no application form per se, so designing a strong proposal will necessarily be one of the selection criteria. The Institute for Studies Abroad, Butler University is one of the leading private study abroad organizations. Chile is one of the countries on which IFSA focuses, and IFSA offers courses of study in either Santiago or Valparaíso. IFSA’s page of scholarship information is your reference for the general scholarships applicable to study in Chile, which come in sums of $500 for a summer, $1,500 for a semester, and $2,500 for a year. ICambio is a specialty vendor of study-abroad programs in Chile and Argentina. To defray the costs of ICambio’s programs, which are designed to enhance your fluency in Spanish, you may enter an essay contest and win a scholarship worth up to $1,000. The course of study must be approved by your own university, and you must supply a transcript with your application. North Carolina State University’s Department of Forestry & Environmental Resources (FER) guarantees its students will have scholarships for FER sponsored study tours abroad, contingent upon filling out this application. The department sponsors a forest resources exchange program including three weeks of study in Chile. 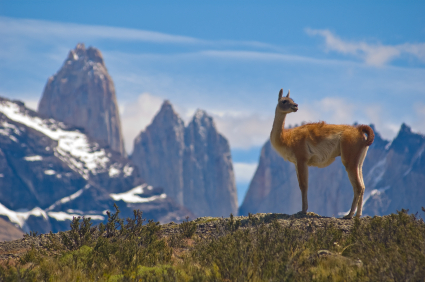 Periodically, other tours to Chile take place, such as the Chile Forest Conservation Study Tour (last held in 2010). The Don Quijote Scholarship will underwrite one year of study for a student having a GPA of 3.0 overall and 3.30 in Spanish courses, and is usually worth about $3,000. The J. Gray Wright Scholarship is looking for an applicant with a GPA of 3.30 overall and 3.30 in Spanish courses, and brings about $3,500. The Julia Crane Award, for a rising senior working on an honors thesis, pays $750-$1,000 toward research abroad. The Halpern Fund, a $1,250 reward for academic excellence, goes to a rising sophomore, junior or senior who plans to return for a semester before graduating. Applicants should be proficient in Spanish and maintain a GPA of 3.2. The Mellon Undergraduate Award supplies $1,500-$3,000 for at least six weeks of research in Chile to a rising junior or senior with a good academic record. The University of Michigan’s Department of Romance Languages and Literatures provides the Vincenti Study Abroad Scholarship to declared Spanish majors to pay for one of the university study-abroad programs, which include a course held in Santiago.